You still have time to enter my current giveaway to win a Melissa & Doug Big Rig Building Truck Play Set! There is also plenty of time to share your family's activity this week to inspire us all to have more quality family time at Happy Family Times! 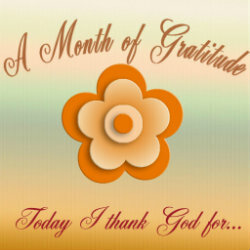 Today I am thankful for being able to stay home with my daughter! Today, we made some more turkey crafts. 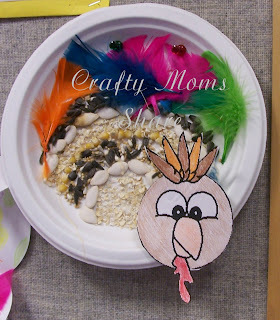 First though I need to share a turkey craft Hazel made at the library story time with the garden club. They have one from last year hanging on the bulletin board in the craft room and I fell in love with it. When I found out they were going to do it again this year, I signed her up for it. They taught them all about seeds as well. 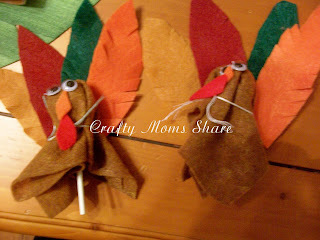 Then we made some lollipop turkeys. I got the idea from Spangler Candy. I changed it a bit to what I had. 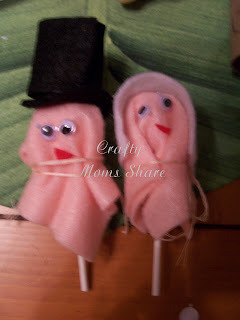 Then we tried some lollipop pilgrims. They are not what I invisioned, but they work for what they are. So there are a few more Thanksgiving crafts for you. Any craft with a candy center is loved at my house. It helps that these are cute too! Thanks for sharing at Mom's Library. Love the lollipop Pilgrmis. So cute. 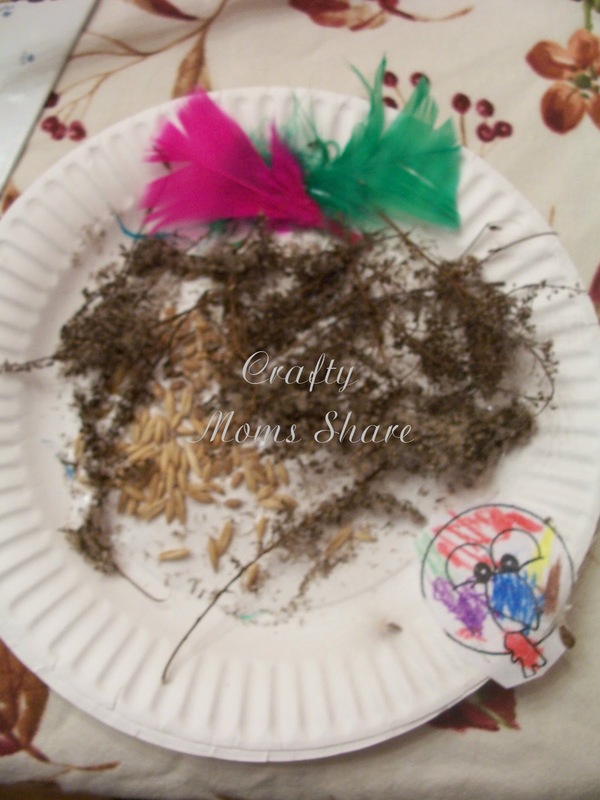 And great fine motor crafting. These are such fun Thanksgiving ideas! Love the turkey lollipops!